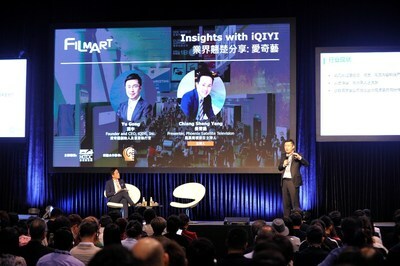 BEIJING, March 18, 2019 -- Dr. Gong Yu, Founder and CEO of iQIYI, Inc. (NASDAQ: IQ) ("iQIYI" or the "Company"), delivered a keynote speech on the importance of innovation in the entertainment industry at the Hong Kong International Film & TV Market ("FILMART"), Asia's premier film industry event. At the event, the company today unveiled a series of its new 2019 original content. "China's entertainment industry has entered an exciting era that's built on rapid development driven by growing consumer demand and technology advancement," said Dr. Gong in his keynote speech. "I'd like to share with you all a rule stating that once a country's GDP per capita reaches US$8,500, its entertainment industry will experience continuous growth that will last for over ten years at a pace of over 10% per year. China's GDP per capita last year was over US$9,000 - there is no better time for iQIYI to take the lead in shaping China's entertainment industry." 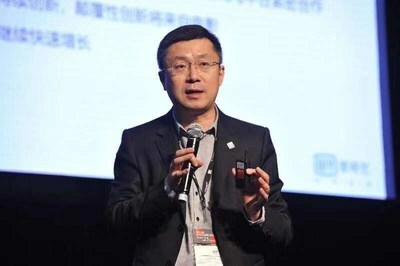 Dr. Gong attributed the success of iQIYI's original content to the company's deep understanding of consumers' needs and effective business model. He noted that this is delivered by utilising and investing in iQIYI's cutting-edge AI technology and innovative talents, both essential to improving user experience and the company's monetization capabilities. Dr. Gong pointed out that for the past three centuries, innovation has been key to advancing human and technology development, highlighting that similarly, innovation is crucial to ensuring the healthy growth of China's entertainment industry. He noted at iQIYI, this innovation is embedded in all aspects of its business, whether its in the company's talents, operation, technology, user experience, or original content. The company is committed to driving this innovation-led trend by becoming a technology-based entertainment giant. iQIYI today launched its new content line-up at FILMART, which includes original dramas The Golden Eyes, Legend of White Snake, Sword Dynasty, The Thunder, as well as new movies, animations and variety shows such as The Rap of China 2, marking the company's ongoing goal to provide more original content to the Greater China and international markets. Since 2017, iQIYI has proactively pursued overseas distribution opportunities for its original content, and as a result has secured a strong audience base in Southeast Asia and the Americas. The company managed to break into the global market and has already distributed over 1,000 episodes of original content on mainstream overseas television and streaming platforms, including blockbuster drama Story of Yanxi Palace. This success has established iQIYI as a major contributor to the advancement of the Chinese entertainment industry by bringing up film and television production in China to international standards and successfully communicating the charm of Chinese culture to overseas audiences. iQIYI, Inc. is an innovative market-leading online entertainment service in China. Its corporate DNA combines creative talent with technology, fostering an environment for continuous innovation and the production of blockbuster content. iQIYI's platform features highly popular original content, as well as a comprehensive library of other professionally-produced content, partner-generated content and user-generated content. The Company distinguishes itself in the online entertainment industry by its leading technology platform powered by advanced AI, big data analytics and other core proprietary technologies. iQIYI attracts a massive user base with tremendous user engagement, and has developed a diversified monetization model including membership services, online advertising services, content distribution, live broadcasting, online games, IP licensing, online literature and e-commerce.